1. Microwave the four cups for 3 minutes, or until warm. 2. Put the gloves on so that your hands don’t get sticky from the flower sap. In the bowl, crush the two cups of flowers. 3. Pour the warm water into the large bowl and mix until the water is a translucent gold and the flowers are almost transparent. Next, fish out all of the flowers. 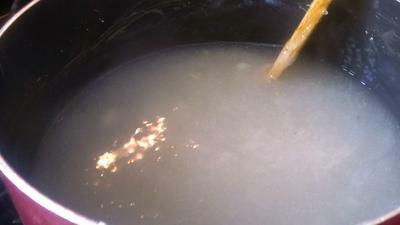 Now, add two teaspoons of lemon juice to the water and mix it in. Take of the gloves. 4. 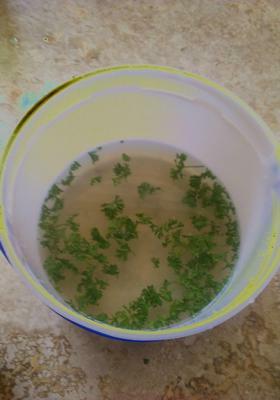 Clean one half a cup of parsley with water, and remove the leaves from the stem. Now, throw the parsley into the water. After five minutes of continuous mixing, drain out the parsley. 5. Put all the water into the medium pot and add the half a cup cornstarch. Whisk and/or mix until the cornstarch dissolves and the mixture thickens. 6. When warm, place the lotion in a glass or ceramic container. If your containers are plastic, you should refrigerate the lotion first so that the cream doesn’t get ruined. Note: It is best to store the lotion just above room temperature. If this is not possible, it is best to microwave the cream in a microwaveable container. Join in and write your own page! It's easy to do. How? 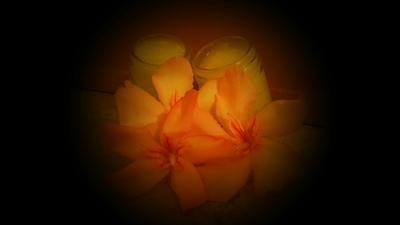 Simply click here to return to Homemade Spa Recipe.